Prickly Pear products might be marketed as an excellent source of antioxidants today, but long before any mass-marketer ever heard of the Prickly Pear Cactus' many wonderful uses, folks out here were making the juice into delicious candies. 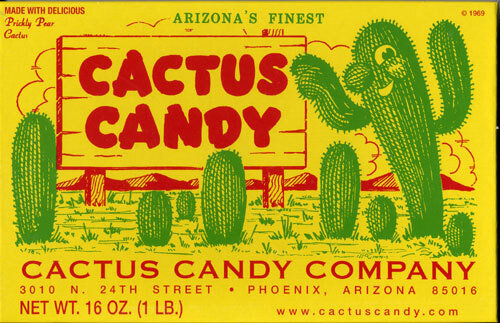 This is the biggest box of "Cactus Candy" that you'll find anywhere, and it's made right here in Arizona. Enjoy!